Apart from a slight mishap with the freezer (more on that later) the first, of what will be many dinner parties in this mission to master the art, was almost entirely a success! The focus for this one was to put together a suitable menu, which would be edible for all. Inspired by a trip to Morocco last year, where I was privileged to receive an impromptu cookery lesson from a local Moroccan in his tiny, one room house, I decided to embrace a Moroccan theme... chicken tagine, chickpea and sweet potato stew and a fresh carrot, coriander and pomegranate salad. Finished off with a Moroccan orange cake served with some not-quite-frozen, frozen yogurt. The chicken tagine recipe is from the fantastic recipe book, which has inspired me again and again, The Guilt-Free Gourmet (indulgent recipes without sugar, wheat or dairy, so the authors Jordan & Jessica Bourke say). 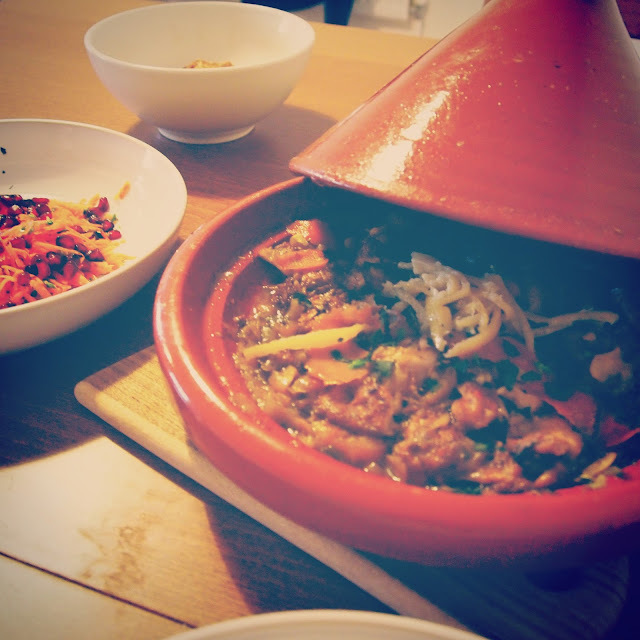 As our tagine is slightly on the small side I was keen to find a recipe for a second dish which would ensure our appetites were well satisfied. I found such a recipe on a fantastic foody blog called a couple cooks. If you want to give their sweet potato and chickpea stew a go, just click here! We kept the carrot, coriander and pomegranate salad very simple, just mixing it all together with a little lemon juice and extra virgin olive oil. As I can't seem to finish a meal without a sweat treat at the end, pudding was an important consideration. 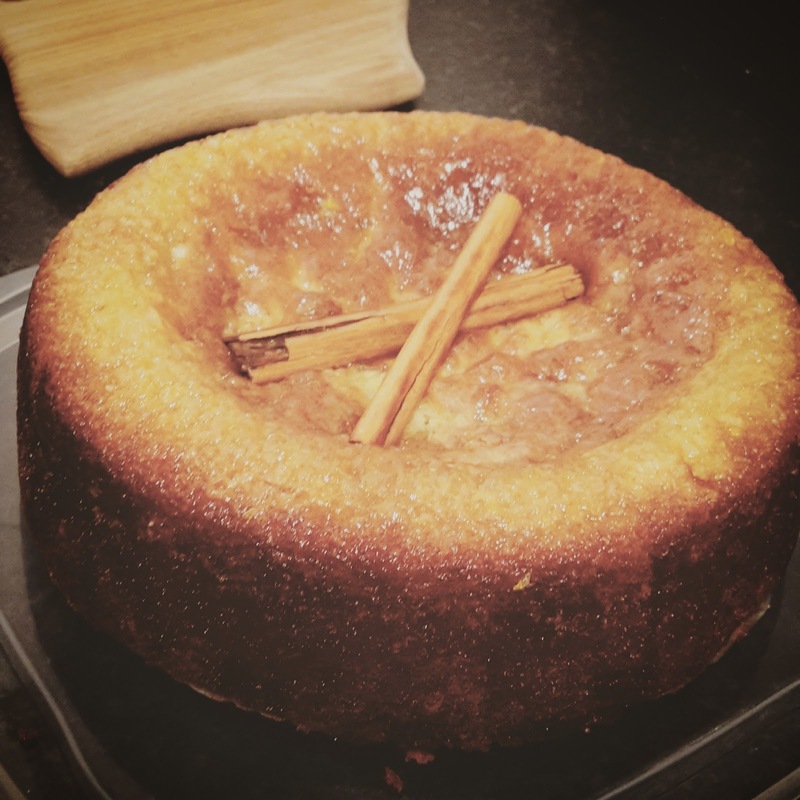 Our Moroccan themed dinner party was the perfect opportunity to pull out the Moroccan orange cake I'd baked a few times before, again a tasty recipe from The Guilt-Free Gourmet. Despite being well practiced at this recipe I almost spoilt the entire cake post preparation, note the juice of one large orange and half a lemon is to be retained for the syrup drizzle after baking and not to be added to the mixture. But after more than an hour of cooking, my sloppy cake mixture formed a perfectly moist cake. According to some anonymous feedback, the menu was indeed edible, bar one minor mishap. Someone, at some point during the day (not pointing fingers, ahem Chris), left the freezer door open. So, our almost sloppy moroccan cake was served with undeniably sloppy frozen yogurt. Which leads us nicely on to an accidental item for the list... learn how to defrost a freezer!